A crown covers an existing tooth to restore strength and provide protection against future damage. Crowns look and function like natural teeth, fitting comfortably into your existing smile. 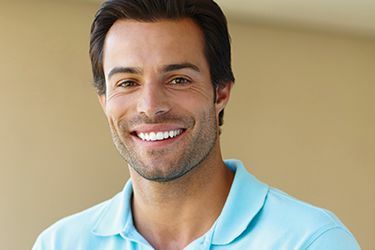 At Capital Smiles, we offer all-ceramic, porcelain-fused-to-metal (PFM), and/or gold crowns. Dr. Shiloh Lieberman and Dr. Erin Page consider tooth location and stressors to determine the best material for your custom-made crown. A dental crown is one of the most commonly used restorations in all of dentistry, and Dr. Lieberman and Dr. Page can use one to make even the most compromised tooth look like new again. Every crown we provide is custom-designed for each patient, and they can even be used with dental implants to help replace a missing tooth for a lifetime. Whether you’re dealing with a large cavity or broken tooth, a dental crown from Capital Smiles can make your problem disappear in just two appointments. We may suggest an inlay or onlay for a tooth that doesn’t need a full crown but requires more restoration than a filling provides. An inlay nestles between the bumps on the surface of your chewing teeth, while an onlay covers one or more bumps. Crowns, inlays, and onlays typically require two visits to design and place. At your initial visit to our Schenectady dental office, Drs. Lieberman and Page will examine your teeth, take facial and dental measurements, and fit you with temporaries. We’ll send your data to a trusted lab where a skilled ceramist will hand-produce your custom dental work. We’ll permanently affix your crown, inlay, or onlay to your tooth, restoring appearance and renewing strength. Drs. Lieberman and Page can also recommend other restorative dentistry treatments to return oral health and confidence. If you have gaps in your smile caused by missing teeth, durable crown and bridgework effectively restores a complete smile. Natural-looking dentures and partials return oral function and beauty to our patients who have lost teeth due to decay, damage, or disease. We may even suggest dental implants to replace one or more missing teeth. If fear has kept you from getting the dental care you deserve, ask Dr. Lieberman or Dr. Page about sedation dentistry. Safe, effective sedation may be the right choice for you, and we have several options available. Nitrous oxide sedation, oral conscious sedation and IV sedation allow patients to enter a state of relaxation, allowing us to turn back the clock to a healthy smile. For more information or to schedule an appointment with Dr. Lieberman or Dr. Page, contact our Schenectady dental office. Our patients in Troy, Saratoga, and Clifton Park enjoy renewed dental vigor with our customized care.